For casual moments of your life. 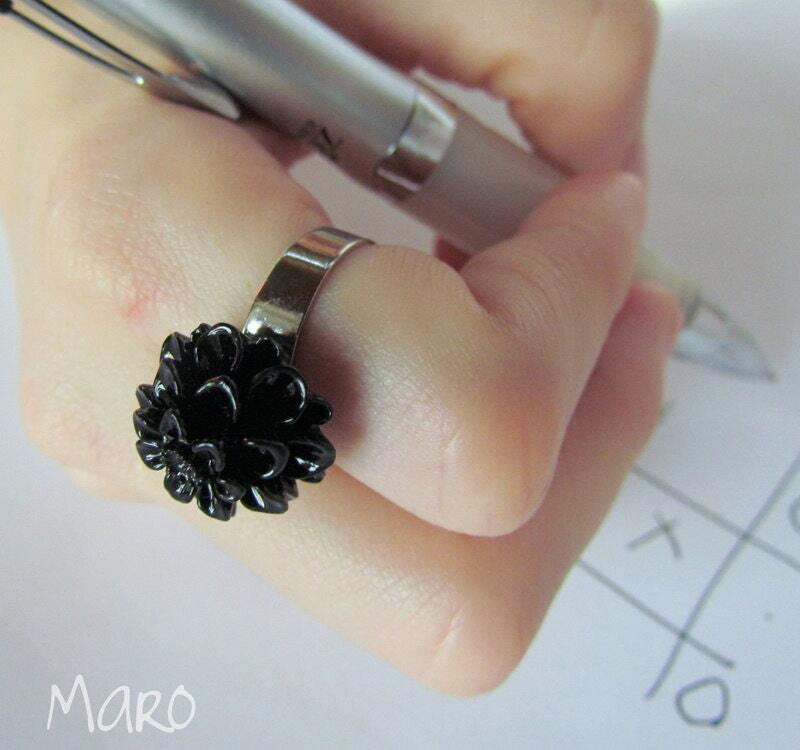 Classic Black Flower Ring features a black resin flower, and adjustable ring. The size of the ring is 6 1/2. ClÃ¡sico anillo ajustable con Flor Negra. El anillo sin ajustar es un 6 1/2. Folksy :: Buy "Simply Rose Ring in Black "